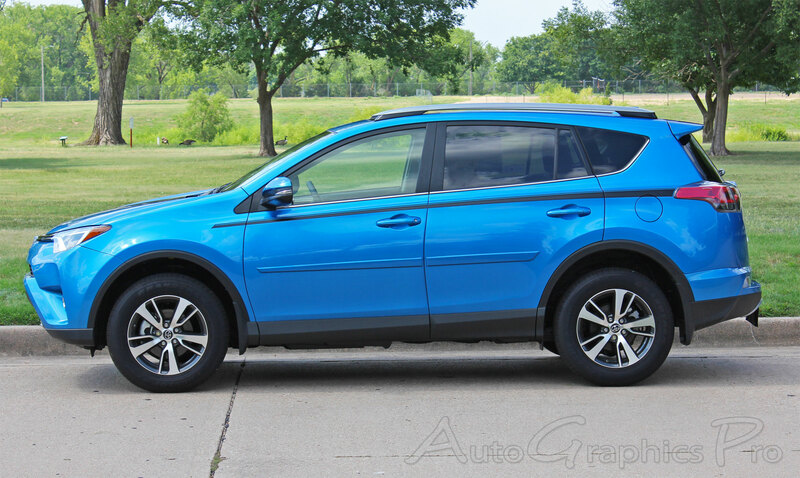 The RAV SIDES vinyl striping graphic package for the all new 2016 2017 2018 2019 Toyota RAV4 has a factory style perfect for local dealership sales. This is a factory style door accent stripe and trim graphic is an awesome upgrade that breaks up the body lines of this Toyota RAV4 model. Add this improved look with an easy to install vinyl graphic accessory package for an amazing transformation for your new SUV! The RAV SIDES vinyl kit includes driver and passenger side decal stripes as shown, ready to install and arranged in a way for easy installation! 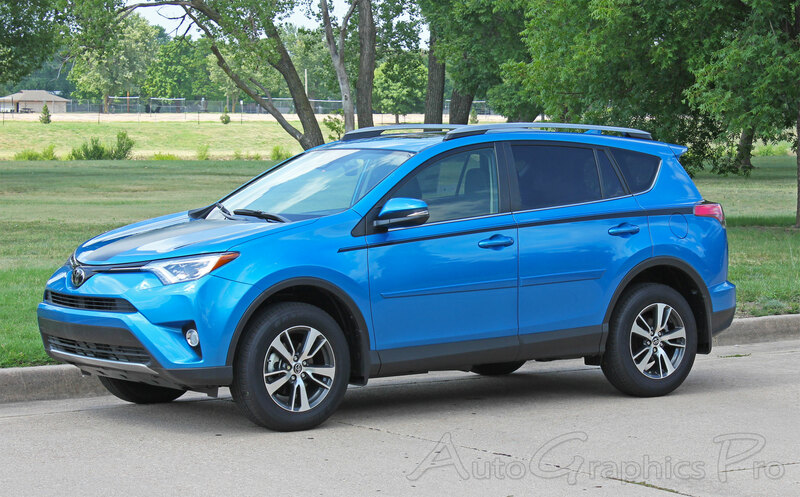 The new Toyota RAV4 is a wonderful addition to this modern generation of mid-sized SUVs, and these vinyl stripes will add a needed customization for a more factory look without the OEM price! 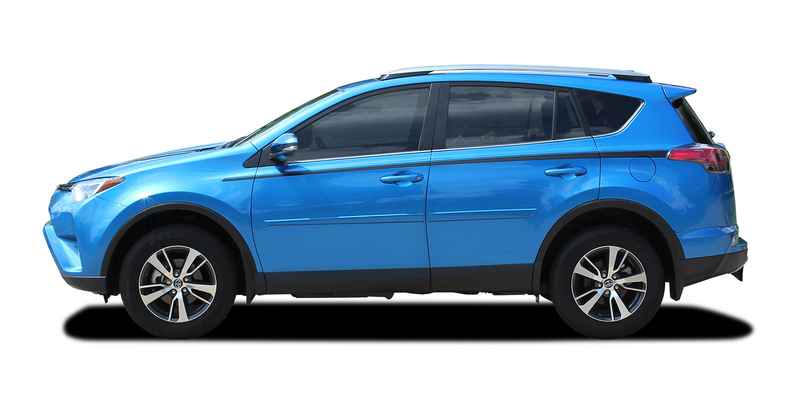 This Toyota RAV4 vinyl graphics kit is pre-cut and designed to fit the body style and model indicated above, and is manufactured using 3M High Performance vinyl, and available in many vinyl color styles. 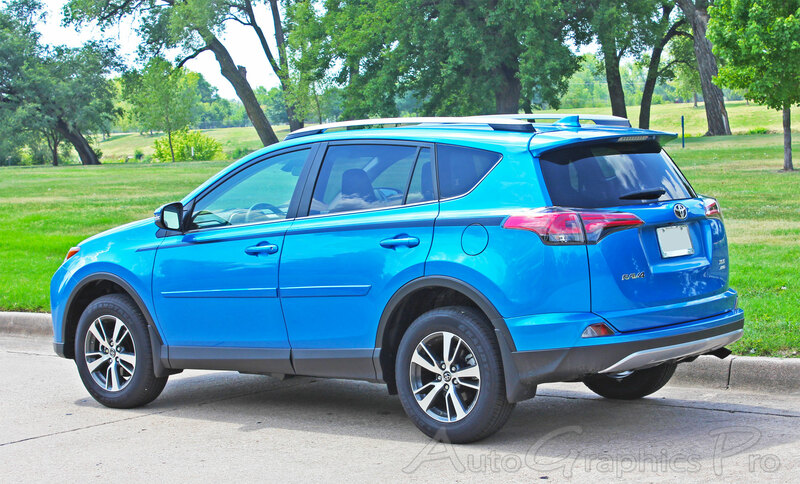 This design fits all Toyota RAV4 models for the years indicated. This multi-section vinyl graphics kit is designed specifically for the RAV4 body lines, and is made of 2 mil (50 micron) 3M High Performance Vinyl Film with each piece pre-cut to fit and requires little to no cutting on the vehicle. It offers an subtle styling that captures a custom look with modern vinyl materials! This vinyl graphics package comes in any of the 3M High Performance professional vinyl colors listed. 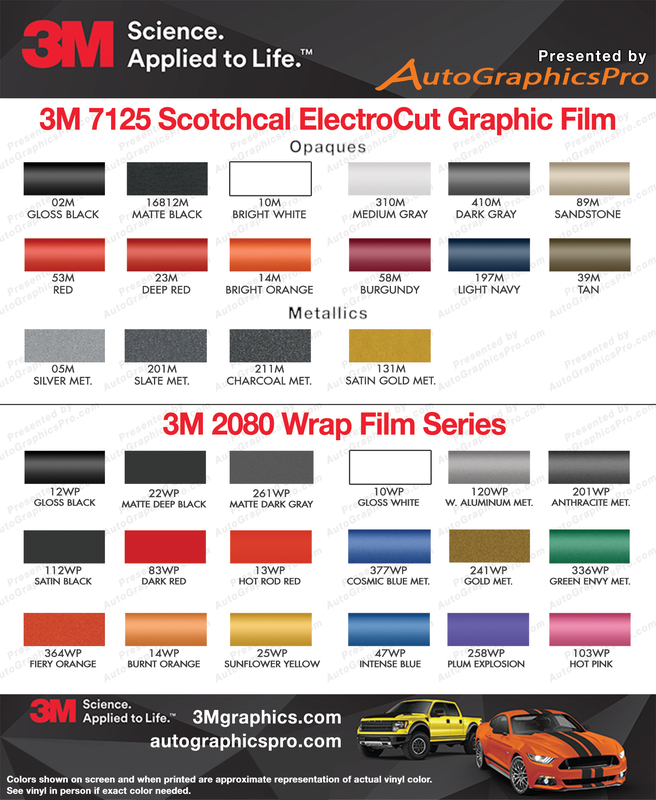 We use only "cast" vinyl film from 3M, not the cheap "calendered" vinyl films!